Get the driver's contact information as well as insurance information. It is important to also get the names and contact information of any witnesses. Pictures at the accident scene can also be very useful in conveying the truth of what happened later on. If you are too injured to get the above info, try to ask anyone at the scene for help. Your Oregon auto insurance policy provides you coverage while you are on your bicycle or a pedestrian. Oregon personal injury protection (PIP) provides a minimum of $15,000 in medical coverage, as well as up to 52 weeks of wage loss. Oregon Senate Bill 411 made a slight but important modification that extends PIP coverage for medical bills following an accident from one year to two years (the new law went into effect on January 1, 2016, effective on policies issued or renewed on or after that date). This personal injury protection is no-fault medical coverage which means that it covers you regardless of whether the accident was determined to be your fault or the other driver's. You'll need to contact your own insurance company and file a claim for your personal injury protection benefits. You will need to do this as soon as possible in order for your benefits to start kicking in and in order for them to pay your medical bills. I advise everyone to not make any recorded statement to the other driver's insurance company until you have consulted with an experienced attorney. This is for your protection. If your Oregon personal injury protection coverage limits are reached, the other driver’s personal injury protection may also cover you. If you do not have healthcare insurance, you will be billed personally for any amounts in excess of your personal injury protection coverage. Oftentimes I can work with providers to get them to wait for payment until the case is resolved. I also strongly suggest increasing your PIP coverage from the minimum of $15,000 especially now that your medical payment coverage can protect you for up to two years. If you have health insurance you may not need as much but PIP can still help with high deductible health care plans. As part of PIP coverage, if the injured person is usually engaged in a remunerative occupation and if disability continues for at least 14 days, 70 percent of the loss of income from work during the period of the injured persons disability until the date the person is able to return to the persons usual occupation. This benefit is subject to a maximum payment of $3,000 per month and a maximum payment period in the aggregate of 52 weeks. If you have to miss work because of your injuries, you will also need your wage loss protections. You will need to document your wage losses and any other expenses you incur. If you know you will be unable to work past the 14 day period, start the process to invoke your wage loss as soon as you are able because the procedure does take a little bit of time to document and process. Your auto insurance policy protects you from uninsured drivers, hit and run accident, and even other cyclists in the event of a bicycle v. bicycle accident. Your liability part of your auto insurance also protects you if you are at fault from damages to a car or other property. Oregon insurance law requires minimums for uninsured and underinsured motorist coverage of $25,000. This Oregon insurance law also changed under SB 411 allowing for, "insurance stacking," (The new law went into effect on January 1, 2016, effective on policies issued or renewed on or after that date). Insurance "stacking," allows injured motorists to add their uninsured motorist coverage on top of the at - fault driver's liability coverage so injured you can get your total insurance coverage defined as the total amount of all coverage available because you will be able to "stack" your UM/UIM coverage on top of the at-fault party's bodily injury liability (BI) coverage. It is a very good idea to increase your UM/UIM (uninsured motorist and under insured motorist) coverage from the legal minimums required by Oregon insurance law. Increasing your UM/UIM coverage from the minimum $25,000. I tell every client to buy as much uninsured and under-insured motorist insurance (UM, UIM) as they can afford as every year, I deal with clients with permanent, disabling injuries caused by drivers with little or no insurance. It is fairly inexpensive to boost this coverage and it will give you added protection and help. If you do not own a car, some bicycle commuters get signed on as an additional driver to an auto insurance policy so that they do have the coverage of personal injury protection insurance, even though they rarely, or even never, drive the car, just so that they have this coverage while they on their bicycle. This Portland Farmer's Agent specializes in bicycle insurance coverage - a cyclist himself, he'll make sure you are adequately covered on your bike. Ask about an umbrella policy which can give you a million dollars of coverage for he says, as little as $16 per month. Insurance companies also offer umbrella policies, and these are an excellent idea. The right umbrella policy can protect your personal assets if you are sued, but more importantly protects you if you are badly injured by an uninsured or under-insured motorist. Do not buy an umbrella policy unless this policy includes uninsured and under-insured motorist coverage, and work with your insurance agent to thoroughly understand the coverage that you have in place. Many of these umbrella policies are fairly inexpensive and an offer you over a million dollars in coverage for just a few hundred dollars a year. You'll have to consult with your own insurance agent to find the best fit for you. Insurance companies, are in business to make money for their shareholders. It often takes the threat of a lawsuit and a known trial attorney to make them to pay. In Seattle, this bike lawyer had issues getting her own auto insurance policy, where she was named as an additional driver, to pay for her medical bills after she was struck by an uninsured driver from behind on her bicycle commute home. The insurance company quickly deposed me and my partner. After we served it with extensive discovery requests in state court, the insurer removed the case to federal court and sent us a copy of a Western District Court order dismissing another bicyclist's UIM claim on summary judgment for not being a "named insured" on the policy. Undeterred, we moved forward with initial discovery disclosures. Interestingly, we received an offer of judgment that was close to 10 times the amount of my medical bills, but that expired before the insurer's discovery was due. Read the whole story. 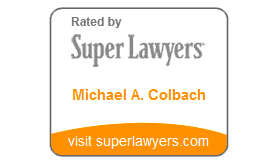 It is a very good explanation of why you sometimes need an experienced attorney to fight for you. It is also very illustrative of how insurance companies will delay, deny, obfuscate matters.